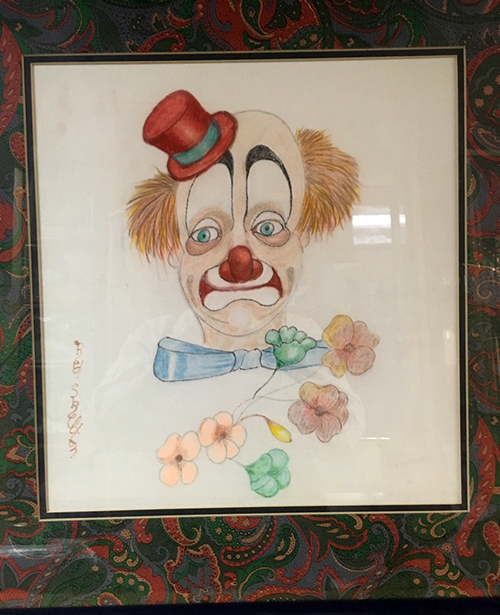 “"Red's Best Friend" is a unique one-of-a-kind original mixed media drawing on linen, hand-signed by the internationally recognized artist and humanitarian, Red Skelton. Mr. Skelton signed the linen in the lower left side of the artwork. 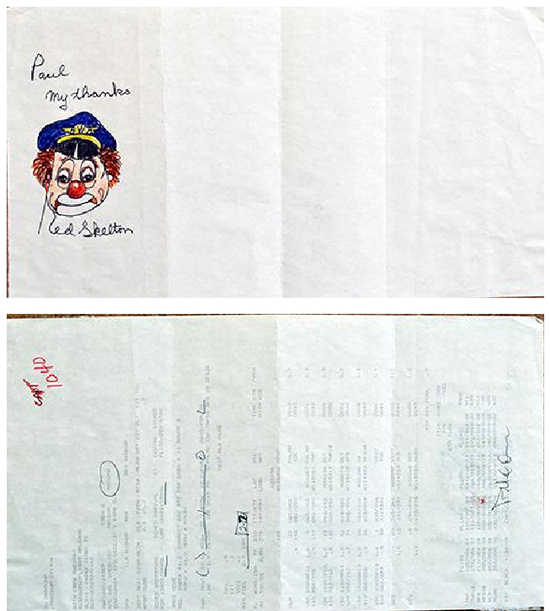 This portrait of a clown was a friend of Mr. Skelton’s, probably in the 1940’s or 1950’s. Red frequently took polaroid photos of those friends who had interesting faces which would then be painted with clown make-up. The clown’s bowtie, consisting of flowers, suggest the portrait was an individual in the circus, who looked similar to Mr. Skelton without makeup. This charming original and colorful drawing measures approximately 15.5” x 16.5” and is beautifully framed using museum quality materials.